Daigahara-juku (台ヶ原宿) is one of the old post town of Koshu Road located in Hokuto, Yamanashi Prefecture. It is chosen as the 100 best Japanese roads. There is a huge traditonal house that is constructed in 1830, and it is still used for Sake Brewery. 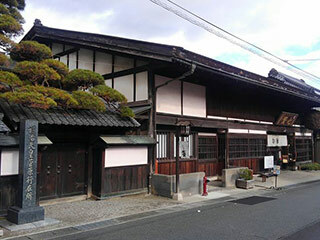 It has few more old houses that has a view of Edo period. From Obuchizawa Station. Use 11 to route 20. Drive south on route 20. Daigahara Juku is 41th post town of Kosyu Road. There are few traditional houses remaining in this town. Shichiken Kitahara House is constructed in 1830 and it is still used in Sake Brewery. This Brewery was established in 1749 and has a great Sake. Kinseiken is another great shop. It has a great traditional sweets.